This is the most misplaced Doughnut shop around. Out of all of the tattered hardware and take-out shops, there’s a bright pink shop that stands out on College, but with my misguided vision, I still managed to walk straight pass it. It was freezing, and the ‘patio’ option was hardly one to consider, regardless of if it was bright and pleasant – these low tables were hardly inviting at all. Small chats and plopping our things by the window sill, we made our way to the counter to be served by a surprisingly very unenthusiastic worker. The vibe portrayed from the decorations and design of the place was incredibly ill-fitting to the two workers who came out to hang at the counter during our visit. You two are in the wrong place mate. There wasn’t much seating inside, there was a row of bar stools, and a seat apart of the window sill, with ‘tables’ of the same height. Very awkward, but there was an outlet which we happily leeched off to charge our phones. Oh – and there’s free Wi-Fi! Don’t forget to ask for the password. Hello beauts – Halloween toppers! 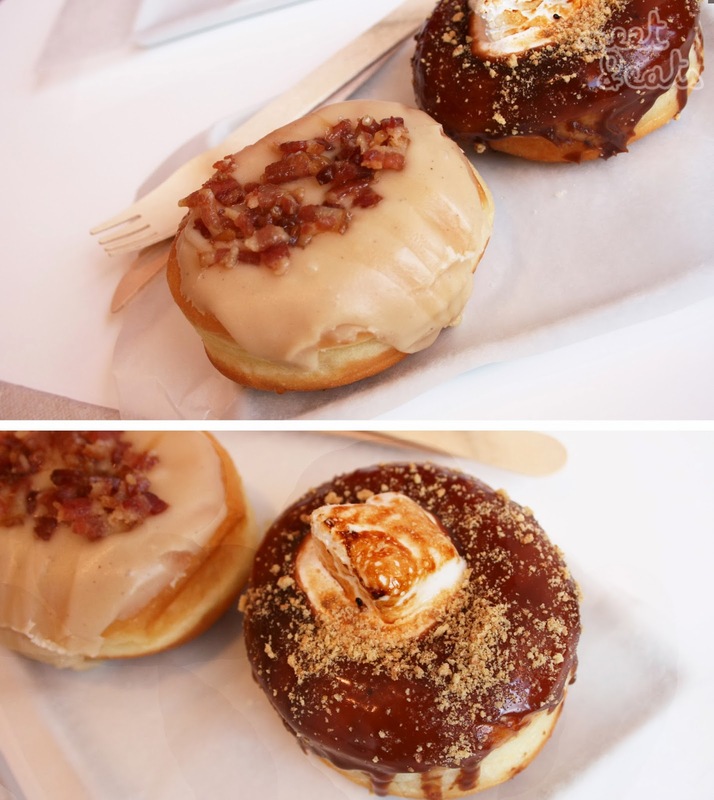 The doughnuts come in two sizes – ‘Three Bite’ ($2.25) and ‘Gourmet’ Doughnut ($2.75). 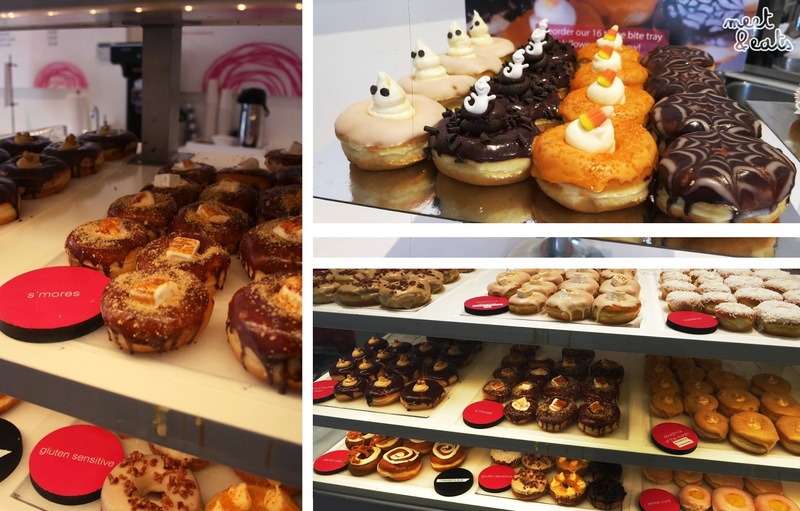 They also serve them in different flavours – the original Raised ones, Cakes and Cinnamon Buns. We were provided with a doughnut on wax paper on a ceramic plate with wooden utensils. Soft and sweet bites with a slight saltiness from the bites of bacon. It was more sweet from the glaze and dough than anything, not what I expected at all, where’s the savoury bacon at? I could have easily done without this, it was way too dough-y. This was not as sweet as the Maple, and felt like a chore to chow down. The name sure sounds exciting but there was just nothing there. I… don’t think I’ll be coming back. 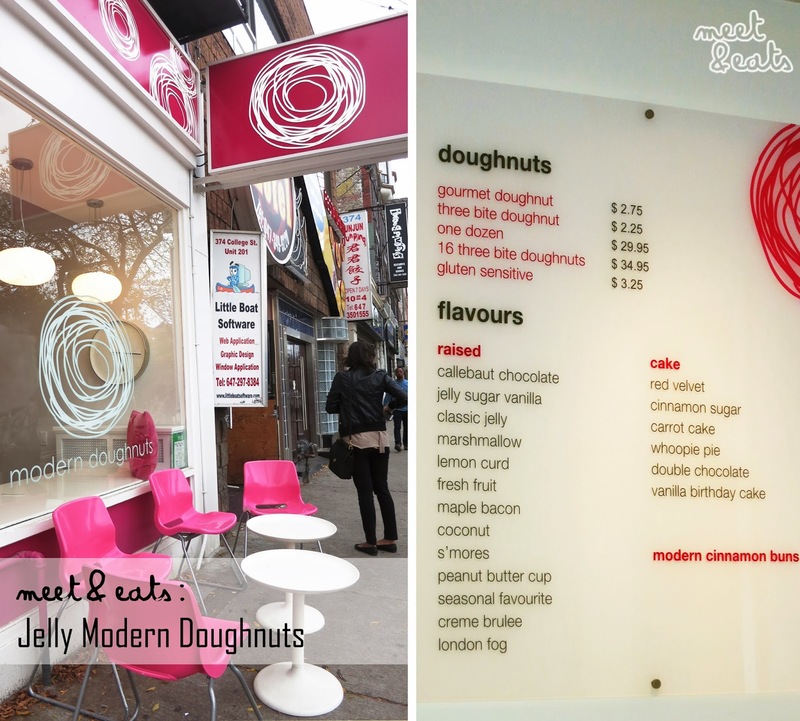 The doughnuts were not at all as exciting as their name suggests and were all way too sweet for me. Along with awkward seating and ill-suited workers… I enjoyed the free Wi-Fi though.